If you are looking for a sweet starter home, this could be the one! Situated on three lots right off Hwy 190 in Erwinville and within three miles of the new WBR school being built! 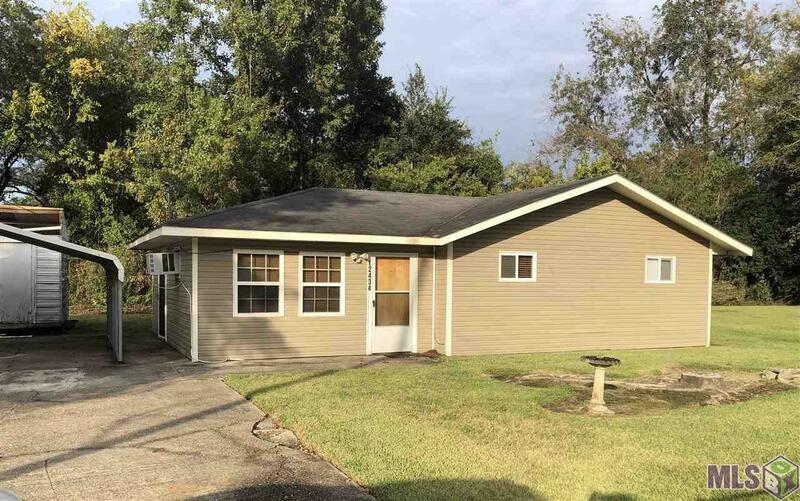 This three-bedroom, one bath home has the potential to be a great investment or a wonderful purchase for a first-time home owner! There is a large kitchen and dining area, which opens into the living room. As you head down the hallway you will find a light and bright bathroom with a shower/ tub combination. Next, is bedroom number one and then the master bedroom, which has two closets and an 8x8 flex area, which could be used as a sitting area, office or a small nursery. Bedroom three, is sectioned off with a bed room and laundry room, which could easily be converted into bedroom number three. Plus, donât forget there is an extra lot to the right of this home, if you would like to add on, build a great shop or sell it to family, friends or neighbors. This home is listed at a great price in a Rural Development area, available for 100% financing, with a home warranty in place.